Ledvance is extending its portfolio for electrical wholesalers with the third wave of ready-to-use LED luminaires for professional users, including extremely flat versions for walls and ceilings. 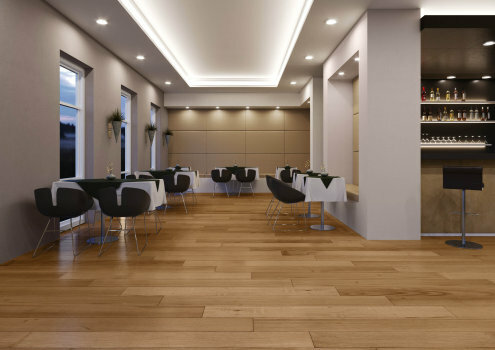 The Downlight Slim family, for example, is intended above all for narrow spaces such as suspended ceilings. It also offers particularly simple and flexible installation and excellent energy efficiency. 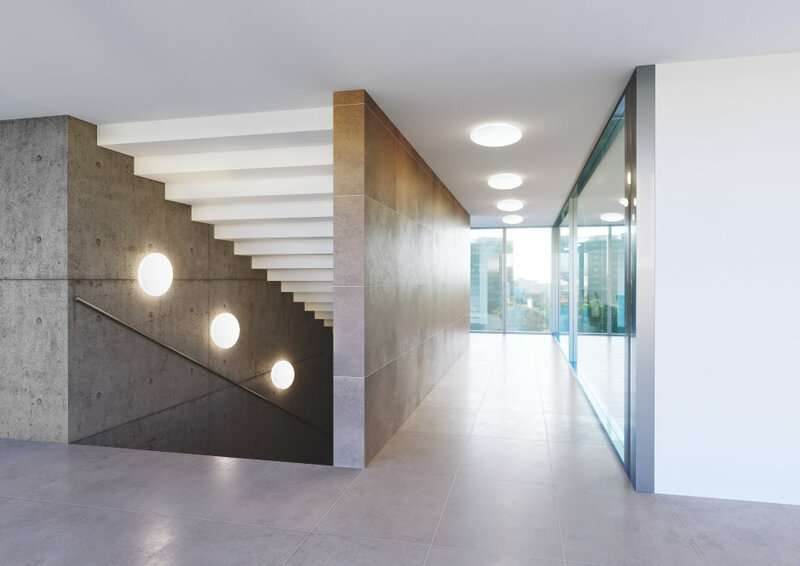 That applies also to the narrow and especially robust Surface Compact IK10 luminaire for surface mounting which is ideal for heavily frequented stairwells and public buildings. The luminaires go on sale using the Ledvance brand. The round Downlight Slim Value, which will be available from December, has been designed for particularly confined spaces. With a mounting depth of only 21 millimeters and an external driver with a quick twist and plug connector it is the slimmest LED luminaire in Ledvance’s current professional portfolio. It is available for cutouts with a diameter of 175 or 205 millimeters and with a color temperature of 3,000 or 4,000 Kelvin. At 4,000 Kelvin it delivers up to 1,920 lumens from 22 Watt, and up to 1,400 lumens from 17 Watt. At 3,000 Kelvin it produces up to 1,850 lumens or up to 1,350 lumens for the different wattages. The other models in the Downlight Slim range have been available for the wholesale sector since October. They come in two shapes – round or square – with built-in drivers and a mounting height of 29 millimeters. These luminaires are available for three different cutout sizes (105 mm, 155 mm and 210 mm diameter or edge length) in matching output classes (6 Watt, 12 Watt or 18 Watt) and in three different color temperatures (3,000, 4,000 and 6,500 Kelvin). The largest model delivers up to 1,530 lumens from 18 Watt. Through-wiring to the next luminaire is possible with these models. The spring-loaded luminaire terminals in a connection box and a cable clamp make installation very easy. A special option for the models with integrated drivers are the surface mounting frames which enable the recessed luminaires to be converted instantly into surface-mounted versions. The rated life of the Downlight Slim is up to 50,000 hours; Ledvance provides a three-year manufacturer's guarantee on the members of this family. With a thickness of only 61 mm, a very flat design is also a feature of the Surface Compact IK10 which will be on the shelves at wholesalers from December. At IK10 it offers the highest possible impact resistance and is also protected against theft and vandalism. In addition, the luminaire passes the glow wire test at 850°C, is sealed for life and can be used in damp locations thanks to its IP65 type of protection. In view of its robustness it is ideal, for example, for stairwells and public buildings. At 4,000 K it delivers up to 1,920 lumens, and up to 1,800 lumens at 3,000 K. Its rated life is up to 50,000 hours. Ledvance offers a five-year guarantee on the Surface Compact IK10.